TFD » Blog » Posts tagged "wedding flowers vintage theme"
Trending Weddings 2014/15: How to Match Your Floral Decorations to Your Dream Theme? At Todich Floral Design, through wedding flowers and flower designs for all occasions, we consistently aim to demonstrate true elegance. We do this through natural grace, a blend of styles, and, above all, harmony between the different elements of our arrangements. Of course, it also comes down to using the freshest flowers—with colours, varied blossoms, fragrance, and style of wrapping and table placement. 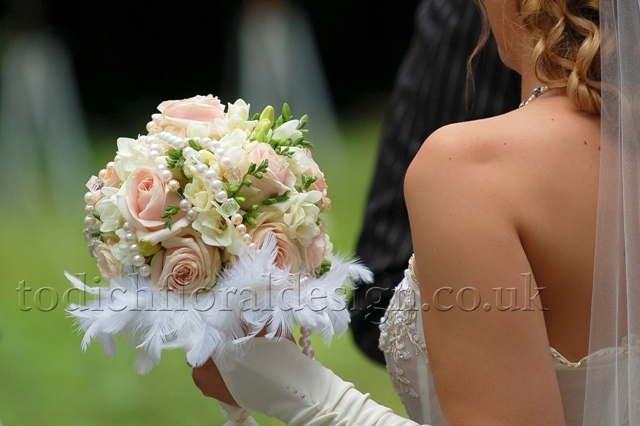 You may even discover that your flowers do more to transform your special, momentous day than the venue itself! This type of classically styled, elegant wedding décor is still very popular. When you think of weddings with a vintage theme there is going to be lots of thin lace, pearls, feathers, brooches and ivied columns. Lavender and white table clothes are wonderful choices. Heritage rose are second to none when it comes to selecting vintage wedding flowers—popular colours and variants on shades are dusky pinks and sweet corals, eye-catching thulian, antique peach, and lavish almond. Green foliage, white (to complement the lace), and yellow are excellent ways to balance pink hues. 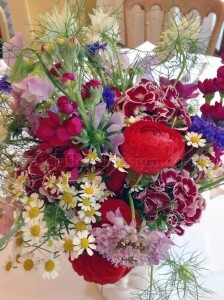 Other types of blossoms apart from roses—but equally refined—are gerberas, carnations and peonies. Sweet Williams are also delightful! A rustic wedding flowers the- me will be somewhat remini- scent of the vintage style. But the key difference is in that, while it remains somewhat nostalgic and unpolished, it’s very much bucolic. This emphasis on nature remains the biggest factor in rustic wedding flowers and similarly styled weddings, regardless of whether or not the ceremony is held in- or outdoors. The types of décor are often full of whimsy, delight and airiness. Think tulips and hyacinths, cascades and arrays of green ivy, spots of bright daises. Giant sunflowers are also a great way to mix up the dainty and more childish aspect of smaller and more delicate flowers, while losing none of the colour power, brightness or beauty. Tables spotted with French lavender or using succulents for any man’s boutonniere will make for a nice country chic look. For the ladies aiming for the rustic style, they can’t go wrong with flower headdresses or long stemmed flowers in bridal bouquets. Still need some rustic accents? Try a little burlap, twine or the muted flair of an aged ribbon. Flamboyance is all about making a scene. It’s grandiose, opulent, lavish in all aspects of wedding décor. In other words, it’s as far as you can get from the toned down luxury of the rustic and vintage styled weddings. Instead, this livened up wedding is likely to employ lots of contemporary centrepieces, slim glass vases, busy and exotic flower arrangements, and candles of varying height. True extravagance! 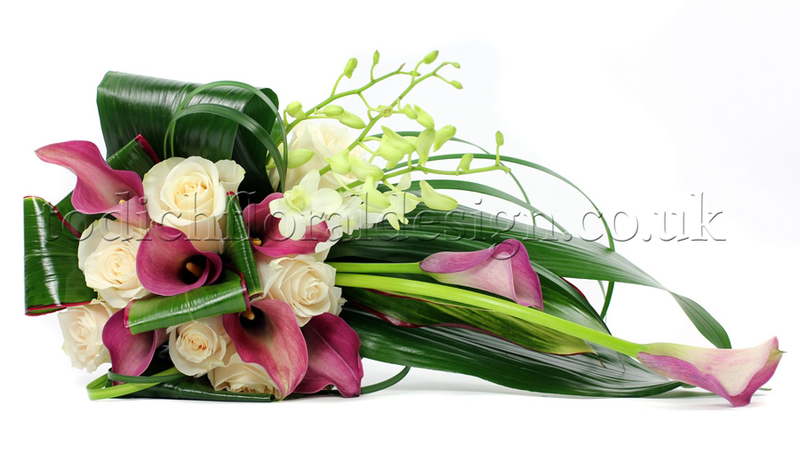 Flower arrangements often use calla lilies, lush velvet roses, sensuous flowers such as anthuriums and flowers of paradise, orchids and blue roses. Flowers used around the base of these arrangements are better as ivory or white, to balance the colour array above. A few more affluent additions: any gold or brass ornaments, as well as rhinestones and crystals scattered across tables or draped over candelabra. No matter what type of wedding and theme you prefer, remember that above all it’s harmony that matters. 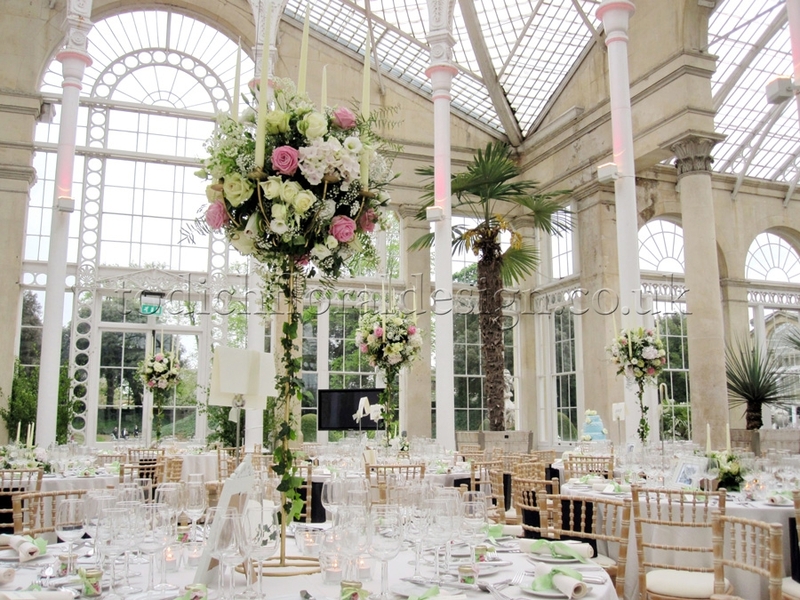 Colour, arrangement styles, personal tastes must blend together for a truly wonderful wedding. More than simple coordination, which only makes sure that nothing clashes, achieving true harmony amplifies the entire effect of your wedding décor. Just like the happy couple, it should be clear that every element is meant to be. 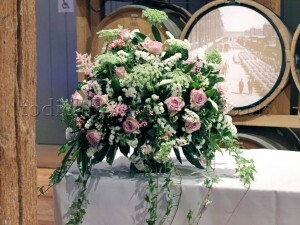 Want to know a little more about Todich Floral Design? 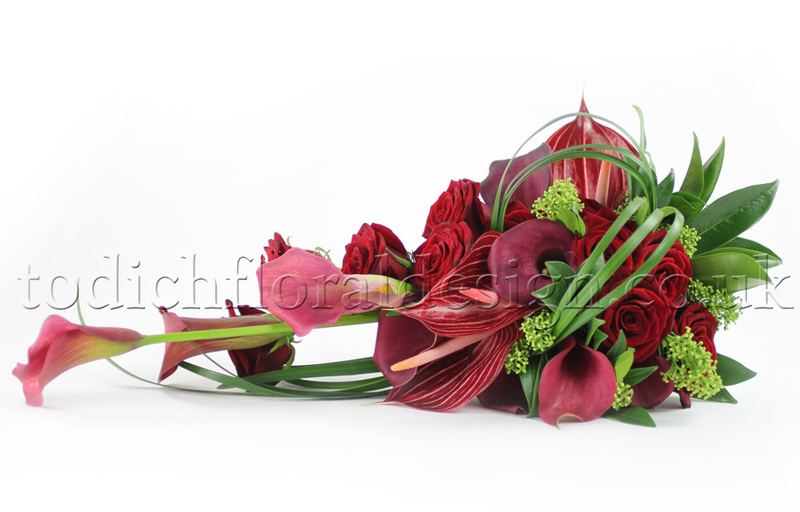 Todich Floral Design has more than 15 years of experience in providing superior quality wedding flowers in London. Skilled florists work with you personally, offering advice on wedding styles, wedding flower budgets, and wedding flower design. We also provide outstanding corporate flowers in London, catering to many local businesses interested in office decoration and positive workspace, as well as hotels and restaurants. 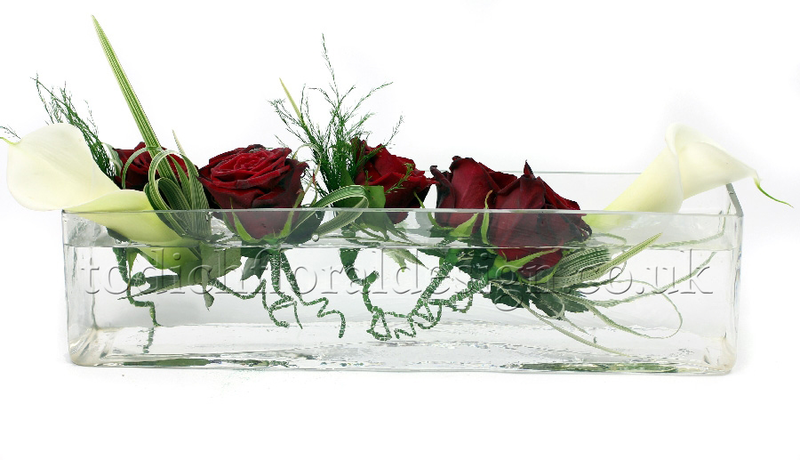 Todich Floral Design offers a free installation service and one week free trial. If you’re looking for a wedding florist in London or an events florist in London, and just need a little more information, then contact us at 020 7737 1166 or visit the Todich Floral Design website.